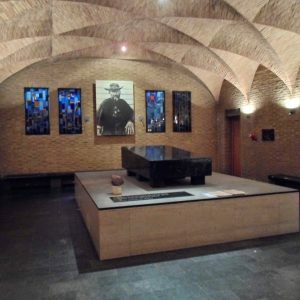 St. Damien & St. Marianne, pray for us! 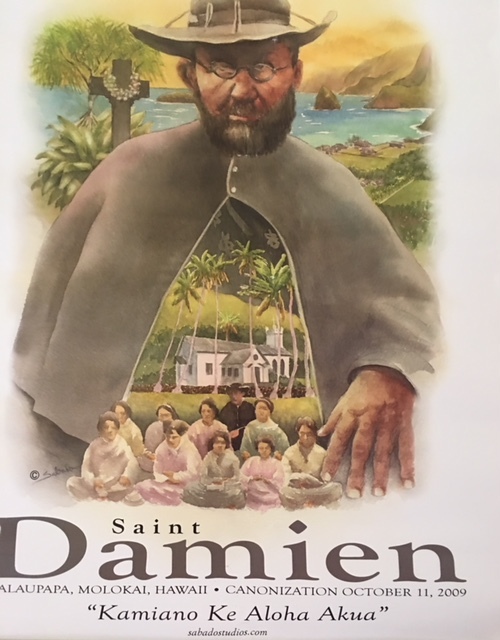 HONOLULU – For the first time, a relic of St. Marianne of Molokai has been given to a diocese outside of the U.S.
That diocese is Kaduna, in north-central Nigeria, and its leader hopes that sharing the story of St. Marianne will be a positive symbol in his war-torn country. The north and central regions of Nigeria in particular have experienced a rise in violence in recent years. Fighting has primarily been between farmers and nomadic herdsmen over land use. Lake Chad and grazing lands have shrunk with rising temperatures. Majority Muslim herdsmen compete with primarily Christian farmers for space. Recent violence resulted in the killing of 19 people, including two priests, at St. Ignatius Catholic Church in Ayar Mbalom, Benue state, on April 24. 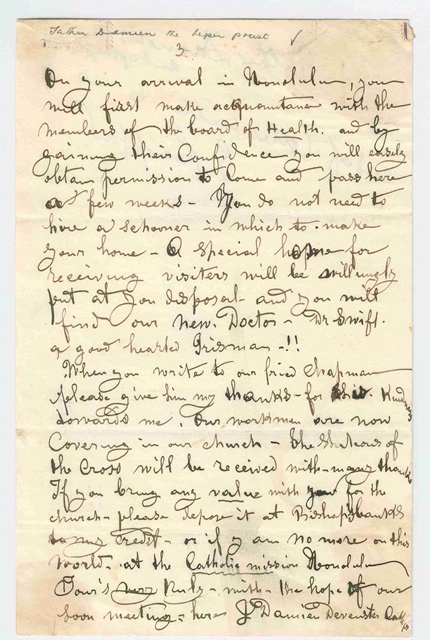 Fifty houses in the village were also burned. “We are pleading on behalf of all Nigerians that are being killed today,” he said during a visit to Hawaii. Ndagoso and his fellow Nigerian bishops have called on President Muhammadu Buhari, a former military leader and Muslim who was elected president in 2015, to do more to stop the violence or resign. Ndagoso visited Hawaii July 12-19. 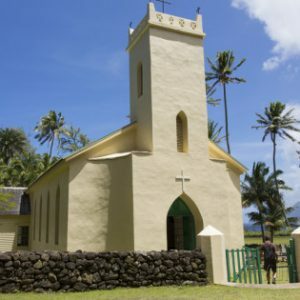 His trip included a July 14 stop with Honolulu’s Bishop Larry Silva to the Kalaupapa peninsula on Molokai. There, Silva gave Ndagoso a tour of the Hansen’s disease settlement. 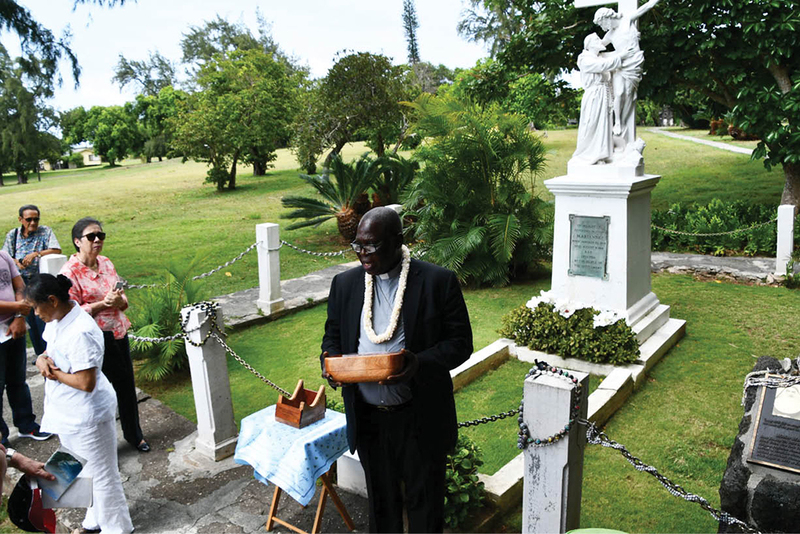 The archbishop also celebrated Mass to honor past and present Kalaupapa residents and the service of Sts. Damien and Marianne of Molokai. During the pilgrimage, Sister Alicia Damien Lau, of the Sisters of St. Francis of the Neumann Communities, presented the archbishop with a piece of St. Marianne’s coffin, a second-class relic, on behalf of her religious community. 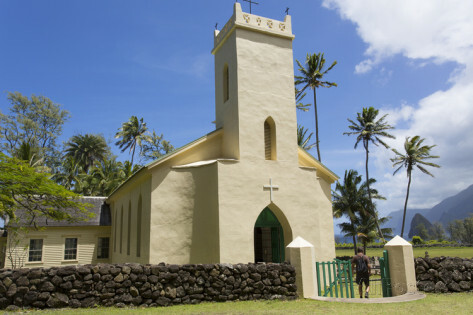 On July 15, Ndagoso took the relic to Sacred Heart Church in Pahoa on the Big Island (Hawaii Island) to celebrate Mass and meet families displaced by the Kilauea eruption. 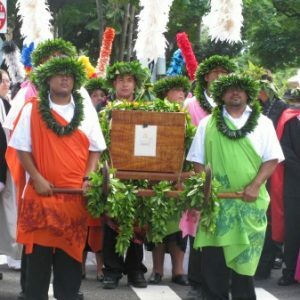 St. Marianne’s coffin fragment relic was held in a reliquary made of native Hawaiian woods by craftsman Manny Mattos, a parishioner of Resurrection of the Lord Parish in Waipio, Oahu. “She’s a model of leadership that we can hold up,” said Ndagoso of why he wanted to take the relic back to Nigeria. 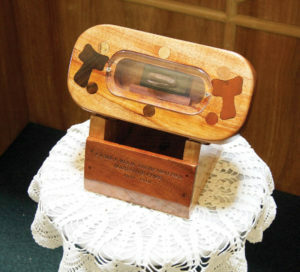 Having St. Marianne’s relic will be a great example of that servant leadership, the archbishop said. 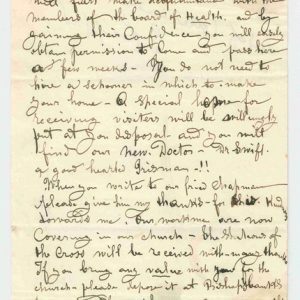 Mother Marianne Cope and six companion sisters arrived in Hawaii in 1883 from Syracuse to help care for patients with Hansen’s disease, or leprosy. 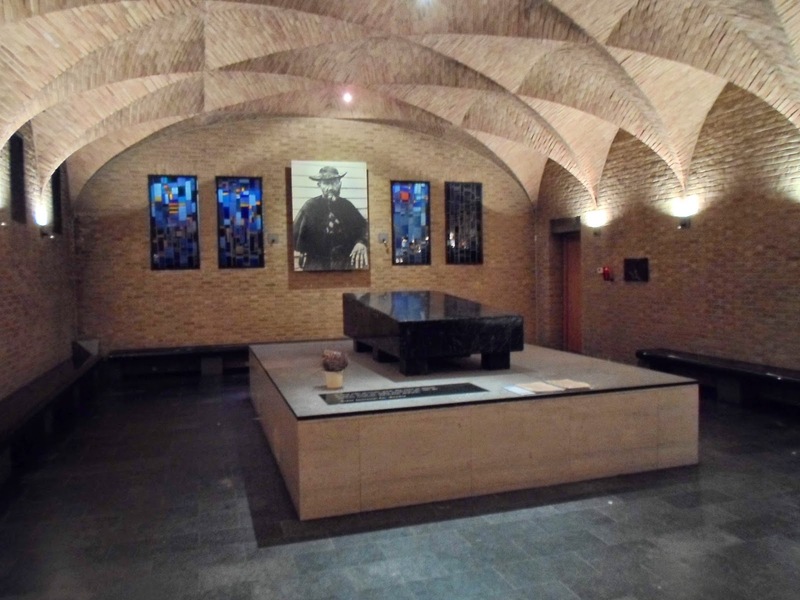 She succeeded St. Damien de Veuster, a Belgian priest, in this health care ministry. 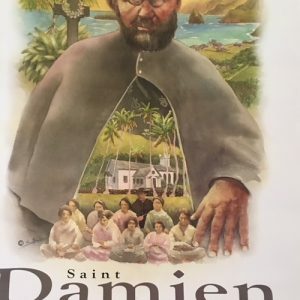 St. Damien, who died in 1889, was Kalaupapa’s first saint. He was canonized in 2009. 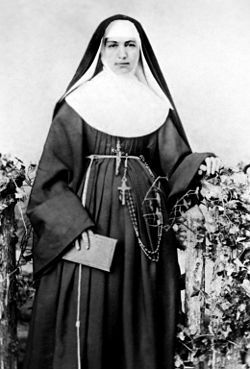 St. Marianne died in 1918 in Kalaupapa and was canonized in 2012. Ndagoso came to Hawaii for the first time last year at the invitation of his friend and Hawaii resident Darlene Namahoe. Namahoe met the future archbishop in the late 1990s in Rome, when both were living in the city and attending Mass at Chiesa di San Patrizio. Manny Mattos was his guide during his four-day visit in 2017, which included a stop at the Cathedral Basilica of Our Lady of Peace in Honolulu. There, Ndagoso prayed in front of the relics of St. Damien and St. Marianne. 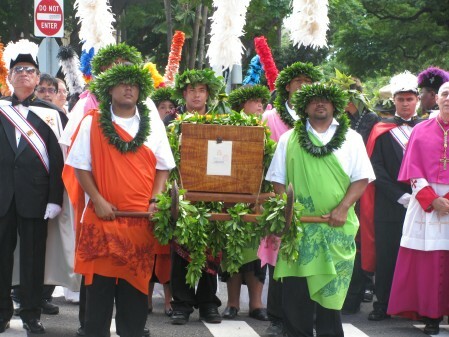 Mattos spoke with Lau, who worked on acquiring the coffin fragment for Ndagoso. With about 196 million people, Nigeria is the most populated country in Africa and has the seventh highest population in the world, according to current U.N. statistics. Weaver is associate editor of the Hawaii Catholic Herald, newspaper of the Diocese of Honolulu.